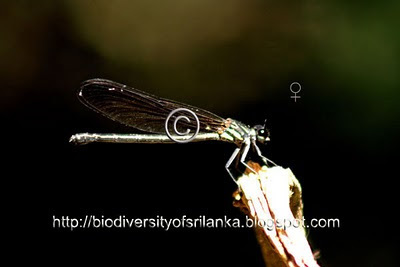 This beautiful endemic damselfly with brilliant metallic blue or green hindwings of males (visible only when it flies ) is a common insect of montane and sub-montane streams surrounded by some vegetation. Rarely seen females can be found in near by jungle. 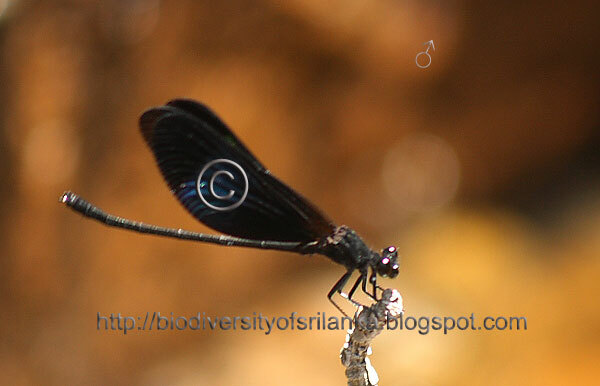 Male has a habit of using its forewings as propellers while keeping the hindwinds fully spread out as wings of a plane. You have a super blog here!